Gary Crawford, group director at AKQA, spoke about building agility with design sprints at Goto Berlin 2018. InfoQ is covering this conference with Q&A, summaries, and articles. These days, an organisation’s ability to survive depends upon its responsiveness to customer and market needs, said Crawford. Traditional management models, still common in our enterprises, favour economic efficiency over adaptability and responsiveness. According to Crawford, this pervasiveness of Taylorism is a critical barrier to business agility. Crawford stated that we need to create lived experiences so powerful, and so compelling, that they catalyse changes in mindset and behaviour for leaders, managers and teams. The inherent speed and urgency that comes from the design sprint process will quickly start to illuminate constraints and bottlenecks within your organisation, argued Crawford. 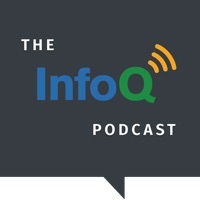 InfoQ interviewed Crawford about applying design sprints to adopt business agility practices. InfoQ: What are "design sprints"? Gary Crawford: Design sprints are a versatile, five-day process for answering critical business questions through design, prototyping, and early testing of ideas with customers. It has been referred to as a "greatest hits" of business strategy, innovation, behaviour science, design thinking, and more. The approach was developed by Jake Knapp and his team at Google. They’ve since battle-tested and polished the approach, working with more than 150 startups at Google Ventures, the venture capital arm of Alphabet, Inc, to create a structured method to solving big problems with speed and urgency. InfoQ: How did you apply design sprints to adopt business agility practices? Crawford: Although design sprints were created for exploring critical business questions, I’ve found them to be a powerful vehicle for challenging traditional ways-of-working that can hamstring business agility. Following the formula outlined in Jake’s book is a great starting point for this. Constraints and bottlenecks can be discovered anytime before, during or even after the sprint. Some examples may be cross-departmental involvement, governance structures, approval boards, brand restrictions, finance or legal approval, etc. The list is long, and the sprint process can be adapted to your context, but I’d caution against doing so just to avoid conflict. Some healthy conflict of ideas may be necessary to improve your organisation’s responsiveness. In an article titled How to Change a Culture: Lessons From NUMMI, John Shook, Toyota City’s first US employee, presented his model of cultural change. Shook’s insight was that by changing how people behave, you can, in turn, affect culture. This revelation was counter to the traditional belief that you start by changing culture in order to affect behaviour. In addition, Rita Gunther McGrath, author of The End of Competitive Advantage and an authority on strategy, innovation and entrepreneurship, has highlighted that the key for management in the digital era is the ability to experiment and to rapidly learn from those experiments. Considering all human systems are complex adaptive systems, viewing any organisational change efforts through the lens of Dave Snowden’s Cynefin framework would certainly support an experimental, probe-sense-respond approach. When you combine Rita’s wisdom with Shook’s model for cultural change, the case for design sprints as an organisational primer for other agility building practices becomes quite clear. The lived experience of rapid action, decision making, cross-functional collaboration, ambitious exploration and accelerated customer feedback – combined with a teams elation in seeing their high-fidelity prototype generate meaningful and actionable user feedback after only five days – is a transformative experience for all involved. InfoQ: Which benefits did you get from using design sprints? Crawford: With the sprint process being time constrained, the unit cost of exploration remains fairly consistent regardless of how big the challenge or how experimental the solution. Once people realise this, ambition levels begin to climb; more experimental and exciting solutions start to be explored. I’ve also noticed that groups are collectively more willing to kill bad ideas early. I think this is partly due to the experimentation framing of the design sprint, but also a result of shortcutting to user feedback at such an early stage, helping protect against sunk-cost bias. When leaders and managers start to see the quality and value of user feedback at such an early stage, combined with the speed at which the team can move, it really starts to open up conversations about how user feedback can be incorporated into ongoing practices. I think, however, from an organisational agility perspective, the greatest benefit is the realisation from managers and leaders that teams can solve challenging business and customer problems in incredibly creative, exciting and valuable ways; ways that most likely would not have emerged from a more traditional approach to planning and management. This new found trust can open the door for an honest conversation about how the organisation can become more responsive and adaptive to user and market needs, and other agility-building practices like agile, lean product management and continuous delivery. InfoQ: What did you learn? Crawford: Design sprints are powerful for both rapid, time constrained exploration, and challenging traditional management mindsets. But they’re not a panacea. And they don’t replace any of the powerful agility building practices that are already in use. They’re another tool for our belts. I’ve also realised that, in the early days of adopting design sprints, organisations can get stuck in the transition between sprint and development. When this happens you risk losing the insight that was generated, the urgency that was created and evolving mindsets can be reset back to "traditional". I’ve seen some teams successfully addressing this challenge by making design sprints the starting point for a longer period of work to ensure smooth transition, rather than a distinct unit of work on its own. InfoQ: If InfoQ readers want to learn more about design sprints, where can they go? Crawford: There are many fantastic resources available for people who want to experiment with design sprints. I’d start by recommending The Sprint Book. It contains everything you need to run your first sprint. The Sprint Stories website is also a great place to learn about other companies' experiences with the approach.